I thought I did, but really I was just passenger sitting idly, allowing things to happen, situations to change, and moments to pass by. I thought I knew what I wanted until life stripped me down to my bones and brought me to my knees. Those dark days (months, really) forced me to reevaluate everything that I thought was important and the way I wanted too exist in the world. In the language of Intentional Creativity, I had to ask myself what it was I wanted to “cause and create” for myself, my family, and my community? As a way to deal with the overwhelming grief and heartache I was experiencing at the time, and to process what was happening, I began to journal. I filled page after page as I poured out my anger, my sadness, and my confusion. Sometimes in words and sometimes in images. Journaling through my feelings became a powerful means for me to connect with myself. For the first time, I became aware of my deepest desires, my values, my hopes and dreams. I also became aware of the hidden stories and self limiting beliefs that were running the show. With the complete obliteration of my family structure as I knew it and armed with all of this new information I had excavated, I made a commitment to myself and made it my personal mission to live every day with INTENTION. I wasn’t going to let life just happen to me anymore. I was done just reacting to whatever came my way. I chose a more empowered way to exist. I would create my experience every day. I wanted to mindfully choose how I spend each day, how I spend my energy, what thoughts fill my mind, what food fills my body, and what environment surrounds me. I wanted to choose my thoughts because I know they create my feelings. I wanted to choose the direction I’m headed and where I’ll end up in the future. I want to create my own reality by rewriting my story and never giving the pen to someone else again.. I have been at this for a couple of years now. I am not always successful I have had to clean house of people, things, thoughts, and beliefs that don’t support this way of being, which can be hard. I slip up, I forget sometimes, I react……I’m human. But , after taking a step back, re-evaluating my life, and claiming what is most important to me, I have been able to intentionally create a life I love. Let your mind wander. What would a completely joyful, radiant, love-filled life look like for you? A bungalow in Costa Rica? A daily yoga practice? Starting your own business so you can walk away from your desk job? Go ahead and write it all down. What is your BIG unreasonable dream? Only consider the “whats” right now, not the “hows” (you’ll figure that out later). We want to focus on what you’ll be doing, where you’ll be living, and who you’re spending your time with, not how you’re going to make it happen. If you jump into the logistics right away, your mind will shut down and this brainstorming-dream session will come to a close. When you know what’s important to you (what you value), you can use that as a compass for each decision you make. If your values include self-acceptance, health, and gratitude, you’ll likely choose to spend your days practicing yoga, drinking green juice, and meditating, instead of drinking gin with your girlfriends until 2 a.m. at the local bar. So, what lights you up? It’s natural to feel increased fear and self-doubt when examining your life, your choices, and your routines. But know that resistance is a sign that you’re on the right path, heading toward your higher self. If it didn’t matter, you wouldn’t be scared. The resistance is a sign that you must keep going and do the thing you’re scared to do. It’s your inner critic showing up to try to keep you safe and small. Be compassionate with him/her and send them on their way. You’ve got this. Resistance is stretching your wings. 4. Take a step forward. Ask this question about everything….Are your actions in alignment with your values and intentions? Make sure that what you’re doing today is preparing you for the kind of person you want to be a year from now. What can you do today to get you one step closer to that peaceful, happy life you’ve imagined for yourself? Go do it! Even f its just baby steps toward that BIG unreasonable dream. Wake up everyday and choose what kind of day you are going to have. Set your intention for the day…..for the week…for the year. How do you want to experience 2016? What do you want to cause and create in each of these areas? Get out your journal and start excavating. I have noticed that life offers us a series of “moments to choose”. They are opportunities to either retreat, or show up. Opportunities to replay old patterns, or to choose new ways to respond. Although I have stopped apologizing for being who I am, I do still get caught up in my old story of “not worthy” and I see many women who are also doing this on a subtle level….doubting…staying small…over apologizing and feeding old beliefs about “not good enough”. I have been choosing to notice when I go into this old pattern and to CHOOSE to claim my worth, to TRUST that I am LOVED, that I am welcome wherever I am, and REST into the knowing that I AM ENOUGH just the way that I am. I have found that when I open to the awareness that I am aligned, loved and worthy, I notice that the universe joins in and affirms this knowledge while conspiring on my behalf. I have noticed that once you own your worth, nobody can ever take it from you again, and you don’t tolerate those that don’t value it or situations where it is diminished. Life is constantly offering opportunities to go deeper and to breathe and feel, rather than run and hide. 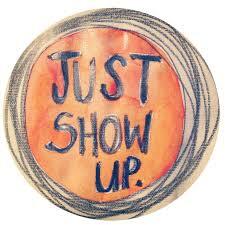 When these opportunities arise we have to choose-will we retreat or show up? Lately, I have seen all sorts of opportunities for deep healing playing out, in myself and in the women around me. 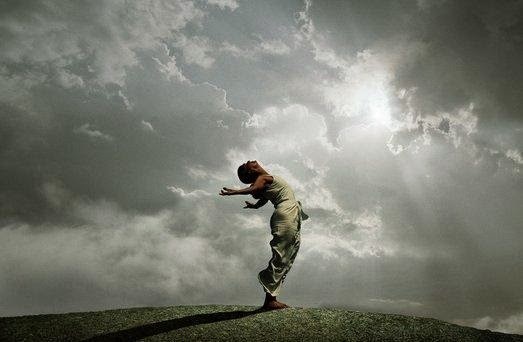 I am giving what arises the attention these deep wounds deserve, sitting in circle, painting, dancing, writing, walking, anything gentle that will help me to stay connected to myself. I am committed to slowing down, breathing, opening and loving through the process of owning my worth. I hope you will join me. To really “own your worth” is to be really clear about who you are, and what you want and need. One thing that you can do to increase your awareness of this is take inventory. Break out your journal and reflect on what strengths or qualities that you have, qualities and abilities that you feel you can ‘own’. What do you want in life and are you taking steps to get there. What do you need and are your needs being met by those you are in relationship with? Where are you giving your power and worth away? Once you are clear on these it is easier to ‘feel your own worth’ and figure out where it needs shoring up. Notice when smallness and the old stories and patterns show up, and start challenging their truth. Get them conscious and write them down. Then rewrite them –you are the author of your story. You determine your worth. Breathe deeply and remind yourself often that you are LOVED and WORTHY of LOVE. And stop apologizing being you and taking up space that is yours. It also helps to “own your worth” to get clear on what your core values are. Have you ever stopped and even thought about them? Mine are LOVE, COMPASSION, CONNECTION, SELF EXPRESSION, SACREDNESS, JOY, AUTHENTICITY and GRATITUDE. Journal what yours are and then use them as guideposts in those moments when you feel intimidated, inadequate, overwhelmed, or confused. Very often these feelings arise from two things-1) smallness showing up or 2) not being in alignment with ourselves (our core values). These feelings are our gut telling us something is amiss. 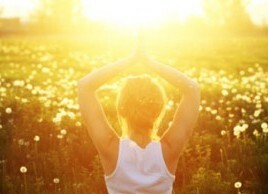 In those moments stop, put your awareness on your heart space and breathing, and check in with your core values. Ask yourself if this is in alignment with those, and with what you want and need for yourself. If the answer is no, step into your worth and do what is right for you. If the answer is yes, these feelings are probably your smallness and fear. Own your worth and your BIGNESS, lean in and move through the feelings. Enjoy your reflection and exploration! 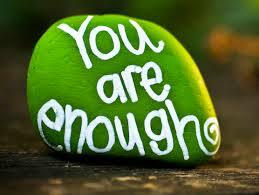 And by the way…..YOU ARE ENOUGH. 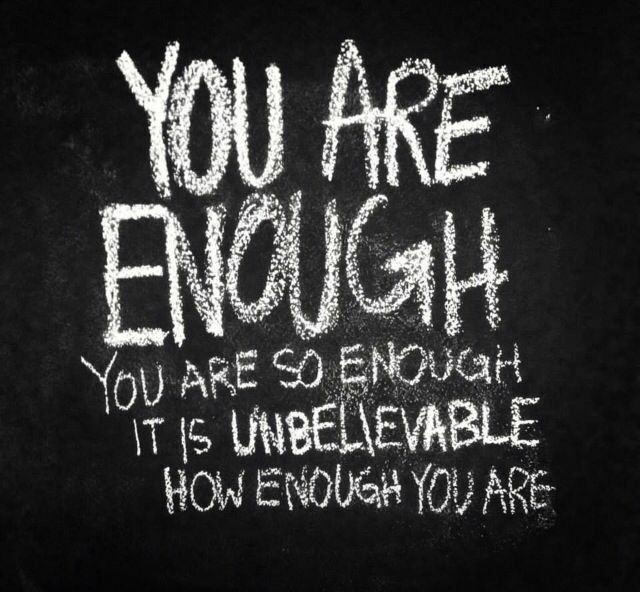 YOU ARE SO ENOUGH. My prayer for peace is for myself. against myself for so many years. and my body will stop its endless retaliation. for the stories, and sins of my past. so that I can come home to myself. Yes, that is my petition…for inner peace. 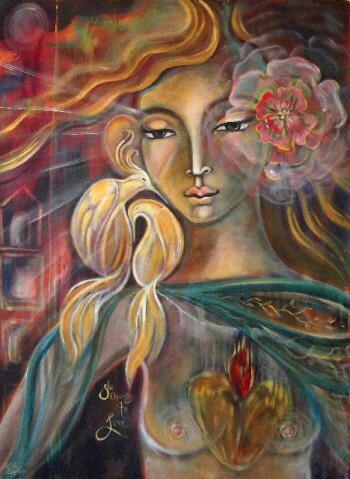 The first menstruation, Menarche, in particular is celebrated throughout the world. The Ancient Greeks built a temple, African tribes pertained a Dance Ritual and the Hebrews celebrated a girl’s first menstrual period with an ointment and a prayer to the Gods so that she would be healthy and fertile. Paul’s letter to the Hebrews in the Bible, interestingly, features an explicit reference to the all-encompassing Power of blood. In this letter, we read that Moses … ‘took the blood of the calves and of the goats, with water and scarlet wood and hyssop, and sprinkled both the book itself and all the people, saying ‘This is the blood of the covenant which God has commanded for you.’ The tabernacle also and all the vessels of the ministry he sprinkled likewise with blood; and with blood almost everything is cleansed according to the Law, and without the shedding of blood there is no forgiveness’. This ritual, then, is undoubtedly connected to the Ancient associations with the powers of the Womb and of the Earth. In the early written language that we are currently able to translate, Sumerian, the word ‘AMA’ meant both ‘the earth’ and ‘womb’. The Aryan root word ‘Mater’ was used for both ‘mother’ and ‘measurement’, from which derive such words as ‘matter’, ‘metric’, ‘material’, and ‘matrix’, which originally meant ‘Womb of matter’. Long ago, Women who were in their Moontime got time off from their work and family chores in order to celebrate these days with their Sisters in the Moon Lodge. If I were in a position to decide, Women would be returned this Sacred Time for themselves. The whole of humanity would benefit from the notion that Women could have their own Sacred Space for their Divine transformation, which we go through every time we menstruate. Sacred Visions open themselves to us. It is a loss for our whole society that this Wisdom seems to be mostly forgotten and remains unrevealed for many. The profound fruits that should actually be given time to heal, be nurtured and then grow during our Moontime, do not get a fair chance. In early ages, Women told each other their Vision, stories and shared their experiences and insights. They came together to be One with each other and to be One with the changes in their bodies. It was one of the strongest acknowledgements of the power and influence that the Moon cycle beholds. It was also one of the most intimate expressions of ‘Sisterhood’. 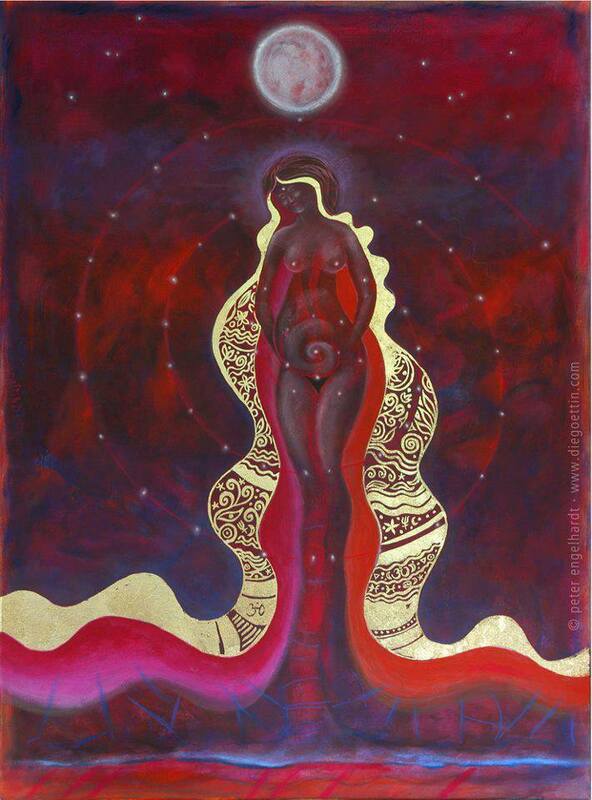 Many cultures consider the Moon to have Feminine Powers because of the way in which she affects our menstruation. Let us nurture ourselves and our Sisters, particularly during our Moontime. should feel like a relief. that integrity, comes and goes. and then didn’t come home. And we woke up truth-less. Then it is time to begin again. than never open at all. and keep on creating no matter what. Before the mending with red thread. Vow 1001 ~ I have been waiting for you. I know you wear your heart on your sleeve. I know that heart is pieced together from soft driftwood and tattered suitcases and old skeleton keys and shards of pottery you’ve tucked in your pockets from all the things you’ve seen break along your journey. I know your soul glitters with the fragments of love affairs and fiery passion and endless nights of candlelight and whispers against bare skin. I know you hear the echoes of long gone trains and feel the pulse of memory reminding you of things you’ve not encountered in this lifetime. I know that sometimes, the way sunlight filters through trees can bring you to your knees in breathless gratitude. I know the path has taken you to unexpected worlds and that you’ve seen beauty beyond measure and experienced the sort of kindness that cracks you wide open. I know it has also been hard and your edges have been made rough and sharp and then worn down, again and again. I know that you’ve been told that you feel too much and that you can’t quite shake the fear that you’ll never truly be enough. And know you are tired, love. I know the ache lodged in your bones. I know it has been a long road and you yearn for rest and comfort and home. But I’ve also seen you twirling, barefoot in the grass by moonlight. And that moon? She is dancing with the sun and this wild spinning earth, coaxing the ocean to crash on the shore, over and over again, just for you. And I know there are stars traveling unfathomable distances and burning to dust when they enter our atmosphere so that you can breathe a little bit of light into your soul when you need it the most. And then there is you. Throwing open the doors, ushering the spirit inside and keeping your rebel heart pulsing strong. You. Keeper of wonder. The child of every revolution this world has ever seen. What power you hold. What tremendous mystery and magic live in your center. How blessed this world is to know the mystical, untamable brilliance that is you. Just look around you. At the beauty and the bliss. At the terror and the teardown. At the utter certainty and every last unknown. It is all a part of your story. Part of how you were made. Embers of grace and grit. Ashes of breakdown and breakthrough. Born of fire. Made of light. Badass with a side of sacred wisdom. Exploding like fireworks across the night sky. You. Thank you for sharing this earth with me.